The last zine I made was written in 2010. Places & Things is bout Athens and Greek islands and there are some recipes too.I have a few copies kicking around. If you’re interested in getting a copy, send me an email. Because zines were such a pervasive part of my own coming of age, I sometimes forget that not everyone knows what they are. “Zine” is short for “magazine”. 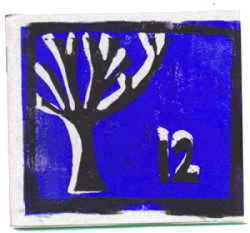 In its most basic form, a zine is a handmade photocopied booklet. A mini-magazine, I suppose, but that’s misleading because most zines don’t strive to be low budget versions of Vogue or Rolling Stone. I’m sure there are some that do, but my zines, and the zines I read, didn’t (or don’t). I favour personal zines (sometimes called “perzines”). 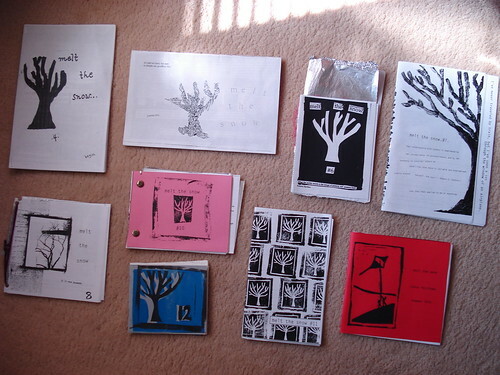 I made my first zine when I was 17 and released them steadily until around 2002. After that I produced fewer issues, and the last zine I wrote was in 2007. I’d write about my life, mostly, or music I listened to. “Like a blog?” you might ask. Kind of. But different. I’m hesitant to say that blogs are like zines because from my own experience with both genres, there’s a fundamentally different approach. The simple act of committing words to paper, to have physical output, makes a difference. I haven’t made a zine in a few years, although I’d like to think that I’ll make one-shots here and there over the course of my life. Zines tend to be thought of as the domain of teenagers, but there are brilliant zines written by adults, and I feel loyal enough to the art form to keep it up as I grow older. I enjoy the act of making them, the cutting and pasting and typing and printing, but have very, very little patience for the rest of it (photocopying, collating, stapling, mailing). I’ve encapsulated most of my feelings about zines in an essay published in She’s Shameless: Women write about growing up, rocking out and fighting back (Tightrope Books). It’s called “We Should Make Things” and you can read the entire essay on the Broken Pencil site or buy the book yourself. Various one shots, like “Do Something Pretty While You Can” or “Sunday”, created between 1997 – 2003.